Outpatient treatment, as opposed to residential treatment, is a form of substance use treatment that does not involve living at a facility. 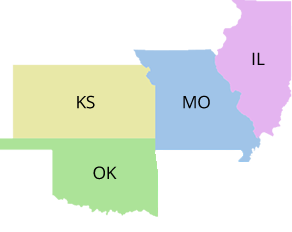 Preferred Family Healthcare and its subsidiaries provide Outpatient services at many locations throughout Arkansas, Kansas, Illinois, Missouri, and Oklahoma. The services vary by location. Please contact your local office (listed below) for detailed information.